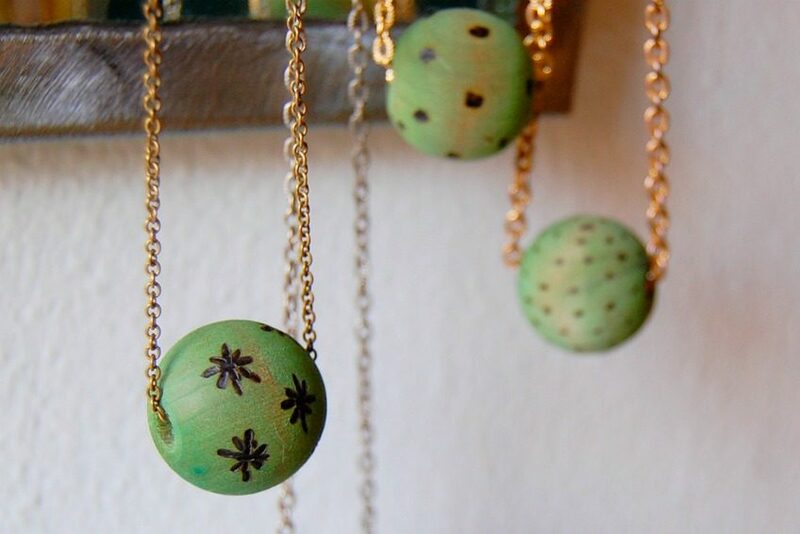 Wood burning and beads – who knew they went together so well. 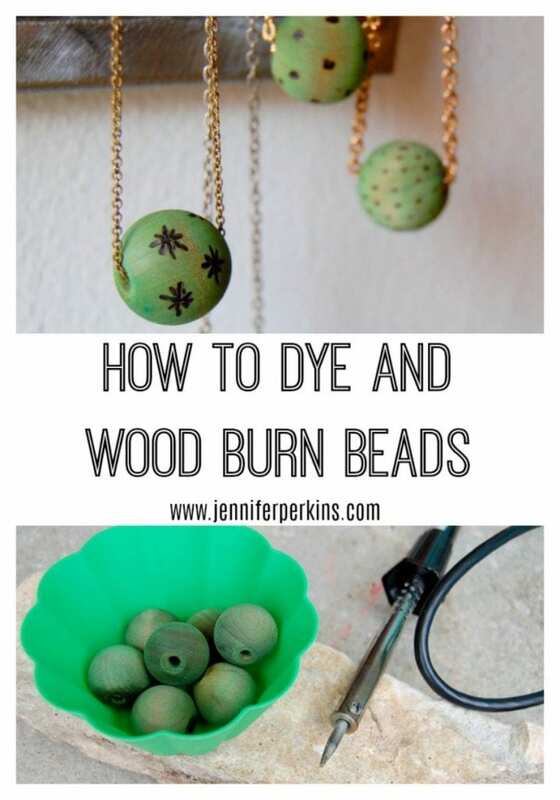 Throw in some fabric dye and thin yarn for a pop of color and you are really taking plain round wooden craft store beads to places they have never been before. I got my start as a jewelry designer and though I don’t play with beads as often as I once did when I do I’m more interested in taking jewelry components and making them into something entirely new. 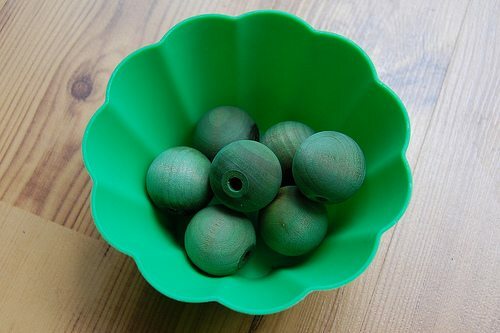 You can dye wooden beads just like you dye clothing. 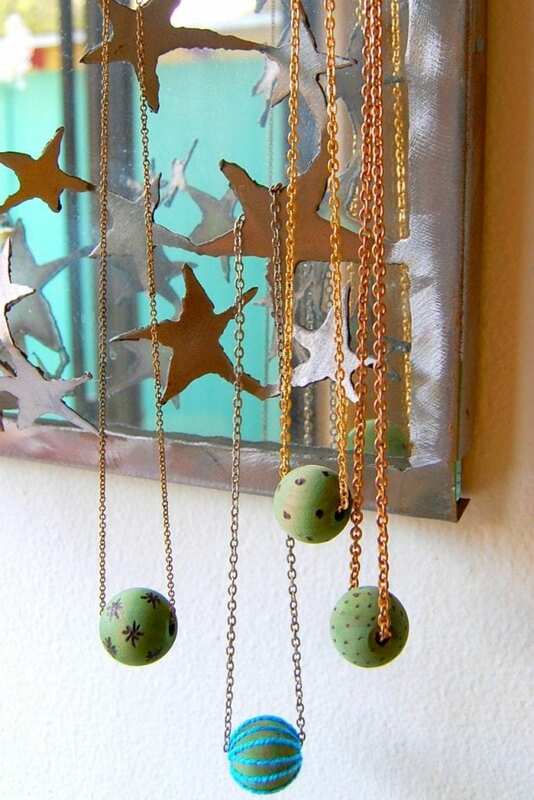 Mix fabric dye according to package instructions and soak wooden beads 6-8 hours. Be sure to rinse beads off well before making into jewelry so they do not stain your skin. 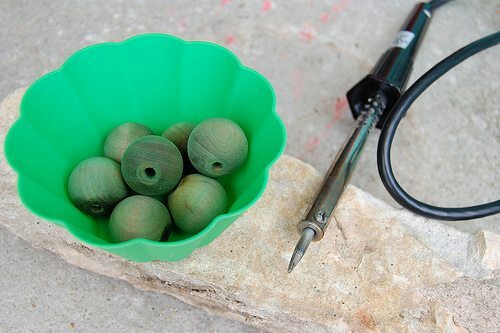 Using a soldering iron or a tool specifically for wood burning carefully make designs on your beads. Polka dots, small asterisks or dashes are a good place to start. Wood burning is easier than you might think. It’s like drawing with a heated pencil. What do you think? What is the craziest thing you have ever done to plain wooden beads? I’m always looking for new ideas! How to Make Paper Beads – Did you know you can roll paper into beads? It’s true and in this episode of DIY This with Jennifer Perkins I show you how. Puffy Paint Beads – Give plain wooden beads a quick and easy facelift with Puffy Paint. 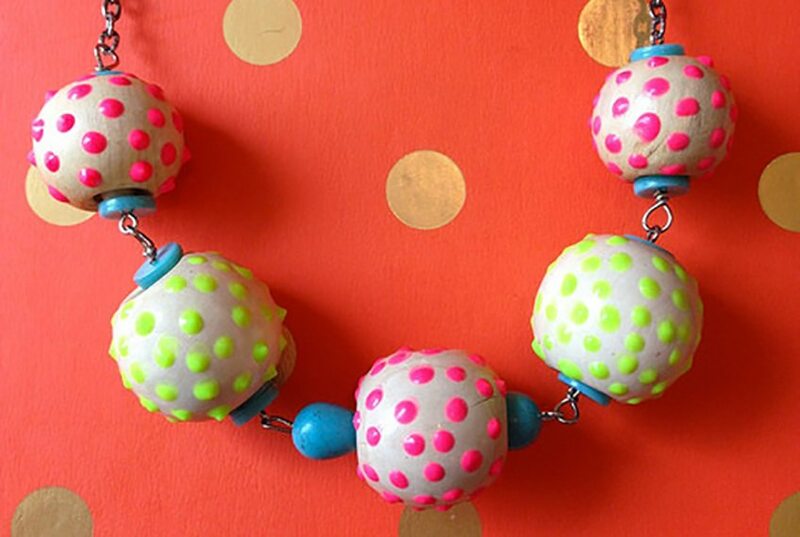 How to Make Almost Anything Into Jewelry – In my years of jewelry making I’ve turned everything from Barbie brushes to baby rattles into jewelry. Posted August 30, 2012 & filed under Crafts, Wearable Crafts. Love the Wilma Flintstone idea. Can't wait to see how that turns out. Well us artsy crafter's must be in the wood bead,wood burnin mood because my sister Vintagehoneybee just made a chunky Wilma necklace, and I burned a portrait and just bought a pack o' bead's to burn myself! And I'm lovin your spin on it as well! This is so great Jennifer. So glad you gave wood burning a try! Hey Natalie thanks for inspiring me. I need to dust that bad boy off and make some other things!